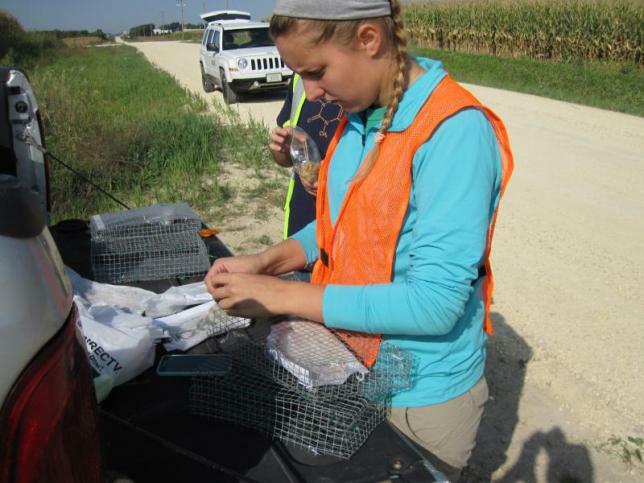 Graduate assistants are an important part of the Tallgrass Prairie Center. When grant funding allows, we are able to support graduate students in the Department of Biology to conduct research and earn a Masters Degree. See the Department of Biology for complete information on the application process. A list of past graduate students who have worked at the Tallgrass Prairie Center, and their thesis topics, is available here. Announcements of assistantship openings, when available, will be posted on this page. A sample description of Graduate Assistantship duties is here. When a Graduate assistantship is available, the deadline for application is February 1.